This is such an easy dinner for a busy family! 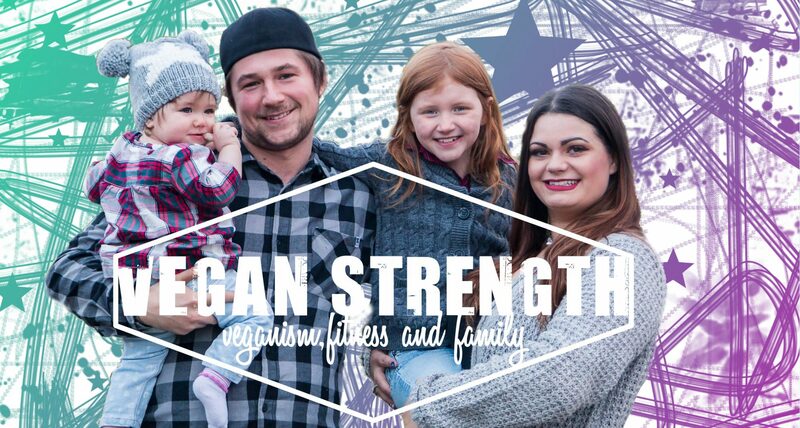 We use meat alternatives a few times a week when Aubrey is home hoping to help her transition to veganism at our home . These fishless fillet by Gardin are so good. 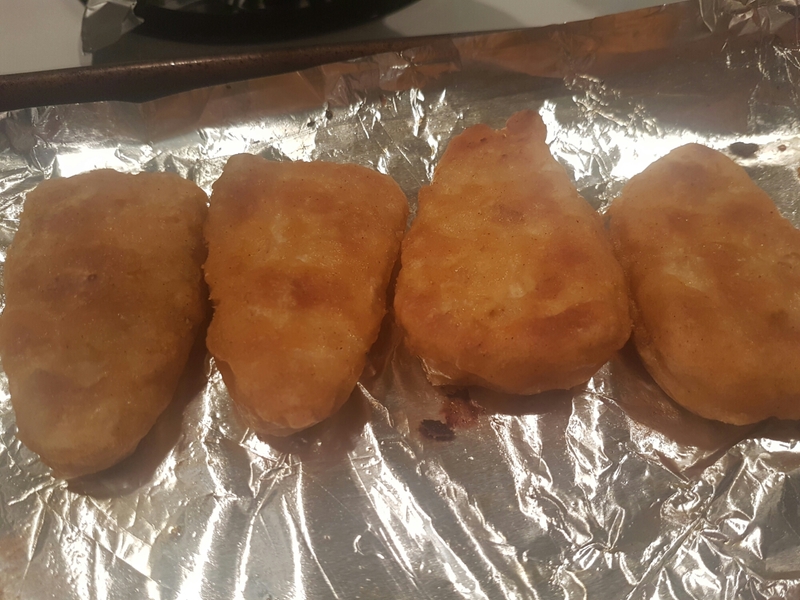 Not only do they look like traditional fish fillets, but Aubrey(7) approves of the flavor. She thought it was regular fish fillets. We usually bake the fillets and they are always super crunchy. We are so tempted to try them deep fried next time. To go with these fishless fillets we made homemade french fries! We made big,fat fries out of red potatoes. Fried them to perfection in our new deep fryer and salted with a generous amount of sea salt. I can’t recommend enough how much better making fries at home is. I know deep frying them is unhealthy but it still beats a drive thru fry in my opinion. Of course you can cook frozen fries with this but I highly recommend trying to make your own. 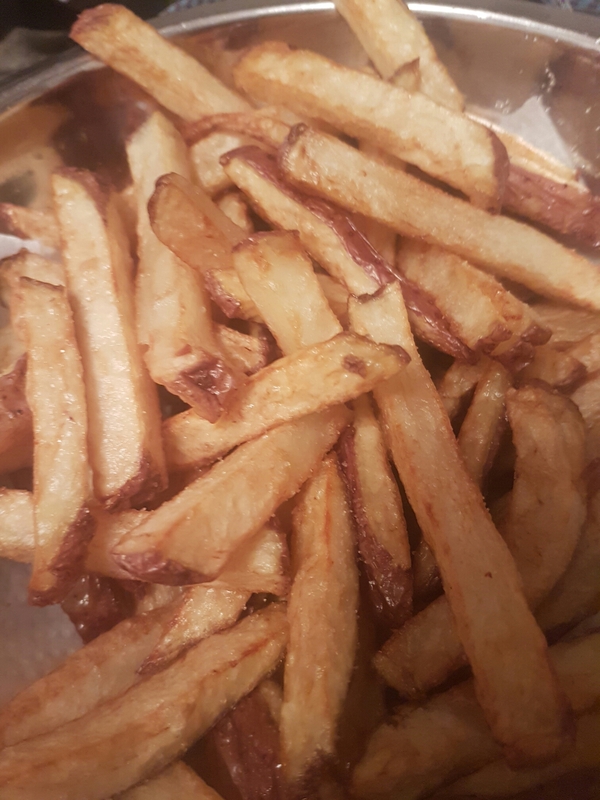 Deep fried or baked, Home made fries taste WAY better!! Dust and I had some balsamic vinegar on our fries for a tangy treat. I love fries and vinegar!! Hope you guys try these out with your little picky eaters or as a quick dinner when you’re in a pinch!